Art by Shano: Quick Update! Will you be attending the annual Mother's Day Studio Tour on Camano Island this weekend? 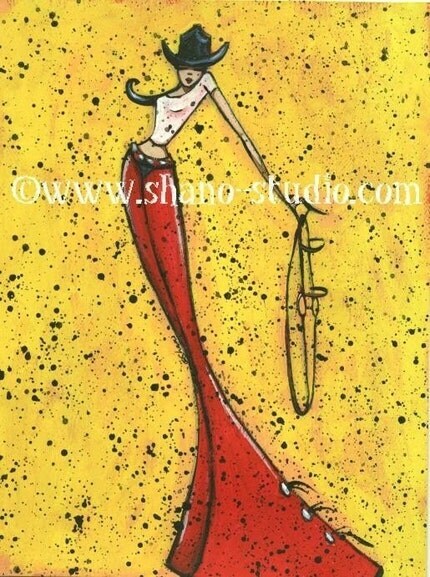 If so, be sure to stop by Seagrass Gallery (http://seagrassgallery.com/) to view original art and prints by Shano. Next stop- Wine tasting at Dusty Cellars Winery (http://www.dustycellars.net/) where you can purchase prints and limited edition signed flasks featuring Shano's newest images. *Some of which are not yet available in print! Art Collectors? Just a head's up! There are still a few Original Artwork Pieces Left! Cleaning out the studio and over HALF the original art MUST GO! Huge paintings, small paintings, and everything in between- All one of a kind and priced starting as low as $100! How exciting! Good luck Shano, I hope you have a huge success! 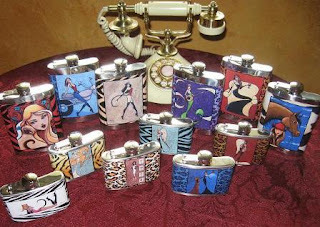 Those flasks are cool! Love this one,, so chic! Can't figure how to follow you. You post a video,post,links,perhaps your art work? would be nice...Thanks..Love the painting of the wild mares..